Are you looking for a pool noodle that's high-quality and luxurious? You've come to the right place! This elegant flotation device resists pool chemicals, UV rays, and salt water. GIANT LUXURY POOL NOODLE - This large swim noodle measures 46-in L and 5.5-in in diameter. It’'s a great size for big kids and adults in the water. SUPERIOR BUOYANCY AND DURABILITY - Treat yourself to a giant luxury pool float that is significantly more durable and buoyant than typical foam noodles on the market. NBR FOAM RUBBER CONSTRUCTION - Enjoy a high-quality swim float with an innovative design. This flotation device is constructed from cutting-edge NBR that is strong like rubber and soft like foam. LONG-LASTING COLOR - Finally, a pool noodle that keeps its color, even after long exposure to the sun. This quality noodle is resistant to UV rays, pool chemicals, and salt water. Robust, triple dip vinyl keeps it looking bright and colorful. Are you looking for a pool noodle that's high-quality and luxurious? You've come to the right place! This elegant flotation device resists pool chemicals, UV rays, and salt water. 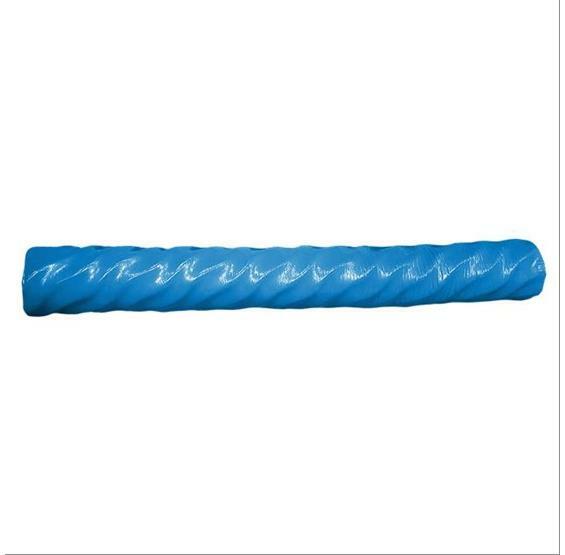 The result is a durable, long-lasting noodle that's safe to use in the pool, at the lake, or on the beach. Even after long exposure to the sun, this noodle's robust, triple-dip vinyl maintains its long-lasting color. Its innovative NBR rubber is strong as rubber and soft as foam, maintaining a perfect balance of strength and comfort. Experience a swim float that's far more durable and buoyant than other foam noodles. This giant swim noodle measures 46-in L and 5.5-in in diameter.